The 1989 Montreal Massacre was one of those rare moments of violence on a grand scale rarely seen in Canada. As Canadians, we often assume that mass murders such as this are reserved for our neighbours to the south. Fortunately, they are infrequent in Canada but, for this reason, they often have longer lasting legacies and impacts. The December Man, the 2007 play by Anglo-Quebec playwright Colleen Murphy, uses this tragedy as its backdrop. I really really enjoyed this book; many scenes and conversations really hit me hard. With only three characters, you really get pulled into the family dynamic and feel for the young man, Jean, who is the centre of the story. This Governor General’s award winner is a short play, only 61 pages, but it is very deliberate in its pacing. What this particular play has become known for in the decade since its premiere is its narrative technique – it is told backwards in time with each scene moving a few months in reverse, a la Harold Pinter’s Betrayal, with scene one taking place in March 1992 and the final scene unfolding in December 1989. It may sound odd if you haven’t experienced a play or novel like this before, but it provides an interesting dynamic with the characters. The play opens with two parents grieving the death of their son while they gas themselves to death in their living room. It may seem counterintuitive, but the reverse time that Colleen Murphy uses is really the only way to tell this story and once you finish it, you realize that linear forward time simply wouldn’t work. This is a hard book to review because of the reverse chronology. I can’t say too much without giving away huge spoilers. Not much happens in terms of plot in this play, but it is a masterful combination of psychological and domestic drama where often times silence or a single word speaks huge volumes. I would love to see it staged. This short book can easily be finished in one sitting, but it will haunt you long afterwards. A must read for a fan of Canadian drama, Quebec literature, or anyone who likes to read sad stories. Rawi Hage himself is an interesting character; he’s a Lebanese immigrant to Canada, suffered through his home country’s civil war, he’s lived in New York, is an accomplished photographer, drove a cab, and somehow managed to end up and settle in Montreal in 1992. In addition to all of this, he has a dark brooding look that just oozes intensity. He seemed to explode out of nowhere onto the Canadian literary scene in 2006 with the now contemporary classic De Niro’s Game. Hage’s first novel was shortlisted for the Giller Prize, the Governor-General’s Award and won the 2008 International IMPAC Dublin Literary Award – one of the world’s richest literary prizes and at the time, one of the only worldwide English language awards. Hage published novel number two, Cockroach, in 2008. 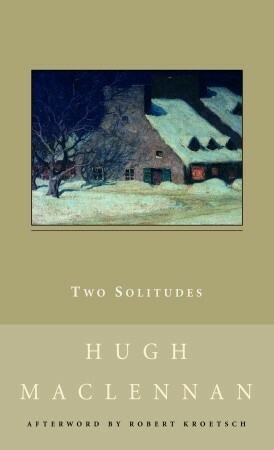 The accolades and nominations quickly rolled in further cementing his place in 21st Century Canadian literary culture. This was my first introduction to Rawi Hage. I haven’t yet read De Niro’s Game or his third novel Carnival. Cockroach is the story of an unnamed narrator making his way through a cold Montreal winter in an unspecified time. The narrator is an Arabian immigrant who lives in utter poverty. He recently tried to kill himself and is forced to have regular sessions with a therapist where he delves into his shady and pragmatic past growing up in his home country. In Montreal, he befriends and falls for Shohreh, a member of the Iranian diaspora into which he has been adopted. All the while, the narrator has recurring fantasies and hallucinations of himself becoming a cockroach, slithering and crawling his way through the underworld and into the homes and lives of those he admires and despises. This unnamed narrator is very gritty and dark but at the same time is very “real.” His pragmatism and survival instincts trump all else – including his better judgment. This novel is equal parts psychological, psychedelic and Kafkaesque. Frankly, other than the flashbacks during the therapy sessions, very little happens in terms of plot in this novel. We are taken on a journey through the narrator’s exploration of the mundane and every word of it is riveting. We see the plight of the impoverished immigrant, the closed-in nature of the a diaspora in a large city, the baggage that a newcomer brings with him from his homeland, and just how far someone can go to survive and how the very definition of “survival” is entirely subjective. We join our storyteller as he collects welfare cheques, works as a busboy, smokes hash and snorts coke with his Iranian friends, and talks out his past with his therapist; we then join him through kaleidoscopic fantasies and delusions of becoming the cockroach. The highlight of Cockroach was the quality of the writing. Rawi Hage uses a poetic language that is free of pretension that is so hard to find in contemporary fiction; it exudes elevated prose but doesn’t reek of MFA syndrome. He uses highly imaginative metaphors and spares no graphic detail. Rawi Hage is at the forefront and very representative of the current generation of future CanLit icons: born outside our borders, a working class background (i.e. he’s not an English professor), highly original stories that are rooted in literary tradition, and willing to take risks in his writing. That being said, Cockroach is a masterpiece of psychological fiction. This is a novel for anyone that wants to delve into the dark nether-regions of the human soul with the possibility of never coming out. 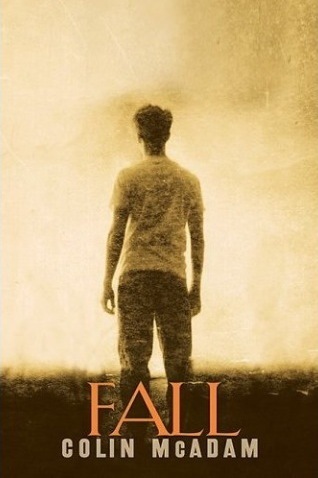 Colin McAdam’s second novel, Fall, is a masterpiece of psychological fiction. The story focuses on a pair of roommates: Julius, a typical high-school jock who is light on intellect, and Noel, who at once is both protagonist and antagonist, is the dark and brooding young man whose true character becomes clearer as the novel progresses. 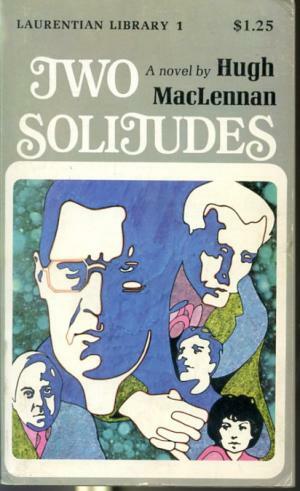 McAdam effectively uses a combination of narrative techniques and multiple points-of-view to tell this story. Fall‘s strongest attribute, however, is its pacing. Coming in at a respectable 358 pages, McAdam makes the most of every sentence. Each and every detail is meticulously sketched out for the reader and, for the really attentive reader, subtle hints and foreshadowing abounds in this novel. 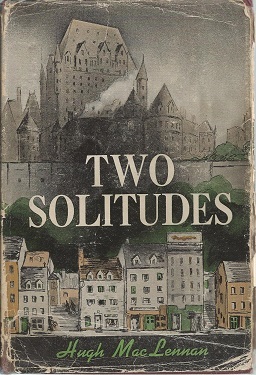 Set in St. Ebury, a fictional private boarding-school in Ottawa catering to children of diplomats and well-to-dos, Fall takes place at a pre-Internet and pre-cell phone time; St. Ebury could be described as a non-magical Hogwarts (with words like Headmaster and Head Boy being used). This setting creates a feeling of privilege and exclusivity that permeates the writing. The narration alternates between the first-person perspectives of both Noel and Julius with the occasional chapter narrated by William, Julius’s father’s driver. McAdam does a fantastic job in creating unique voices for the two main characters. Chapters narrated by Noel are done so from the distance of around a decade. His chapters are made up of long and intricate sentences that are very reflective; Noel is always trying to answer rhetorical questions that he seems to be grappling with. Julius’s chapters are told from the present using sentences that are sharp, truncated, and impressionistic. This immediately furthers the contrast in intellects between the two characters. The few chapters that are narrated by William are more so a release-valve to provide foreshadowing and an external analysis of yet-to-unfold events. Fall is also filled with a fantastic cast of supporting characters: the title character, Fall, who is Julius’s girlfriend and Noel’s object of obsession; Ant and Chuck, friends of the main pair; and the parents of the main characters. At this point, I have to give a spoiler alert. Late in the novel, Noel is described as a sociopath by William. Early events narrated by Noel begin to paint this picture: his first sexual encounter, in Australia with Meg, is quite dark; he has a habit of dressing in his roommates clothes and staring at himself in the mirror when he is alone; and, probably most disturbing, he recalls cutting the tail of his cat as a child because he wasn’t happy with his birthday present. Later of course, he kills Fall and maims Julius. What is most interesting about Noel is that he is an incredibly sympathetic character, likely because of McAdam’s use of the “unreliable narrator.” I am not sure if I think that Noel is a sociopath/psychopath. If he really is, his narration might be manipulated to make him remorseful; that is ultimately the question that you are left with when finished with Fall. When I originally bought this book, it was for one reason: its cover. I had not heard of Jon Paul Fiorentino, I didn’t know what the central premise of the book was, and in fact I didn’t even read the back of it. This is a testament to the quality cover design done by the publisher. Fast-forward 18 months, I was perusing my poetry shelf trying to decide what to read and this book popped out at me, again because of the cover design. Because of my complete unfamiliarity with the author, I went into this book blind, not knowing at all what to expect. Indexical Elegies is a mix of sad, esoteric, misanthropic, and refractory poems. Fiorentino proves himself to be a master of wordplay and phonetic manipulation. This volume has interesting combination of alliteration and mid-line rhyming; the poems are not necessarily metrical but not necessarily completely free from structure. This collection, especially the last sequence “Transprarie”, has a strong sense of despondency and anxiousness; but of course this is to be expected with the word “elegies” in the title. The speaker seems at great unease with the world around him. Manitoba also seems to bear the brunt of his agoraphobic writing. This collection is a very quick read, almost too quick. With about 65 pages of poems, most of which are no more than 50 words, I finished this book with about 70 minutes of reading. These are not “everyman” poems. I think the occasional or casual reader of poetry would struggle with Indexical Elegies. 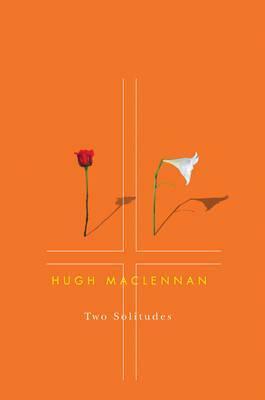 This book is more suited to someone who has studied poetry, reads it often, and is familiar with the elegiac tradition pioneered by 17th and 18th century poets like Donne and Thomas Gray. I’ve felt like that the last month or so I have gotten away from the original reason I started this site, to review pieces of “classic” CanLit and contribute my two-cents on Canadian culture. With this in mind I have decided to focus my reading for this blog on my New Canadian Library shelves and review some oldies for the next few months. Whenever I need to kick-start my enthusiasm for reading again I usually reach for one of two authors, either Mordecai Richler or Margaret Laurence. I was in the mood for something funny so the obvious choice was Richler. I picked up one of his shorter novels that I hadn’t read yet, The Incomparable Atuk. 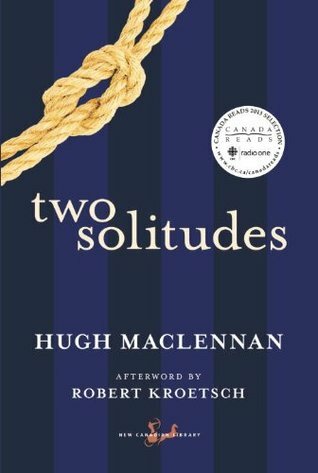 This novel is one of Richler’s more eccentric pieces of satire; it has a similar feeling and tone as Cocksure, likely one of the strangest novels to come out of Canada in the 60s. Atuk is about an Inuit (or, as they were known in the 60s, Eskimo) poet who achieves national stardom and is transplanted to the soul corrupting city of Toronto. The Incomparable Atuk was Richler’s follow-up to his best known work, Duddy Kravitz. The story starts with Atuk gaining fame as a gifted Eskimo poet and falling into a crowd of memorable characters. Although it is a short book, the NCL edition comes in at 178 pages with big print, it is very dense in the amount of story that is packed between the covers. 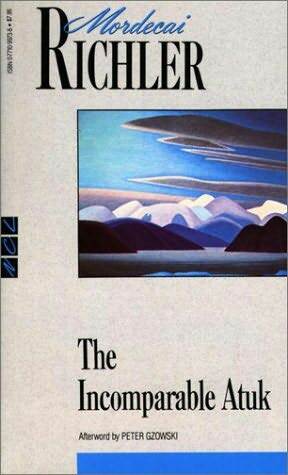 It would be hard to summarize the novel because the book is basically just a bunch of random stuff that happens to Atuk and his inner circle; some of these include game show appearances with deadly punishments, cannibalism, swimming Lake Ontario, Eskimos being locked in a basement being forced to create “authentic” pieces of art, and of course Richler’s trademark witticisms on the state of post-WWII Judaism. Something that always impresses me with Richler’s work from the 50s and 60s is his ability to seamlessly shift point-of-view with almost every chapter while still keeping the book as a whole very cohesive. I think part of the reason Richler is able to pull this off is because of how unique and memorable his characters are. All of his novels have a lot of characters and almost all of these characters are very well developed. Within two pages you have a sense of what this character is all about and which side of Richler’s proverbial fence he or she stands (this usually having something to do with the character being either Jewish or anti-semitic). I haven’t said anything specific along these lines in relation to this particular book, but all of my aforementioned comments apply to this novel. You can never go wrong with a Mordecai Richler book. The Incomparable Atuk is a great representation of his approach to writing and the themes that are explored throughout his writing career as a whole. Richler was a master at holding a mirror up to Canadian society and exposing our foibles with hilarious and biting satire. If you liked Cocksure you would definitely enjoy Atuk. When I was browsing through Goose Lane Editions’ website looking at their spring catalog this book caught my attention for two reasons, first was the catchy title, and the second was the author. I have heard a few songs by the Aurian Haller Band and was quite taken with their unique sound. The poems in Song of the Taxidermist are very interesting and unique. The poems are collected into short sequences, with each poem being able to stand on its own but when brought together with its cohorts, a thing of eclectic beauty is created. This is rock and roll poetry at its best. The verse is rhythmical and has a noticeable auditory quality to it. The images that the poems evoke vary from classical ideas of beauty to deeply dark and disturbing. The poem “Four Ponies” is highlighted by four pictures of Merry-Go-Round horses in unusual places taken by the author. This is a very haunting section of the book. The sequence “Dwelling” looks at the idea of “home” and what makes a home and is one of the most heartfelt parts of the book. The poems in the title sequences are framed around a taxidermist performing his work on various animals while thematically exploring what is beautiful and the role of the onlooker in making that determination. This was a great book. This is one of those collections where at first reading you may not understand what exactly a particular poem is getting at but the language and images still fill your imagination. Writing song lyrics, especially Haller’s brand of contemporary folk rock, has become its own form of poetic expression; his lyrics are more than just words to a song. Haller has made the successful transition from songwriter to poet. 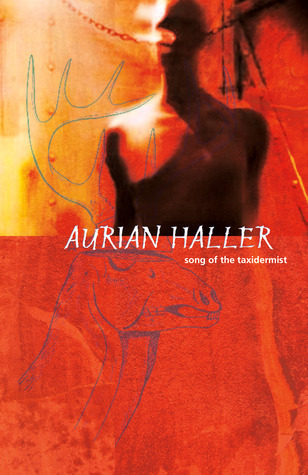 I think Aurian Haller is a name we are going to be hearing for years to come in both literary and musical circles. Released today (February 11), Song of the Taxidermist is published by Goose Lane Editions and available here.